Scammers will try anything to lure you into a trap, from robocalling to blanketing your inbox in spam emails, but their latest trick might be their most devious yet. A new report from the security experts at Kaspersky Lab explains how the scam works, and it’s completely evil. 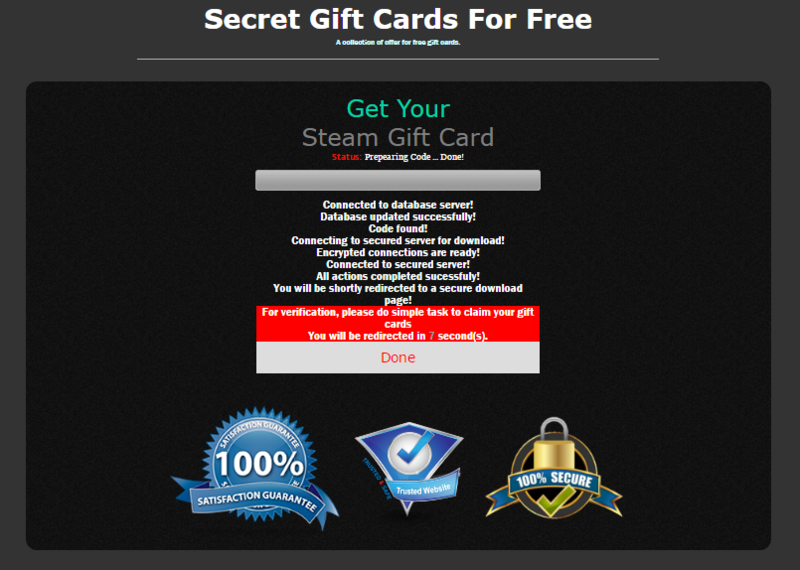 Free gift card websites have been pretty common across the internet for some time, but many of them are actually legitimate. Some companies hand out these freebies in exchange for taking surveys, viewing advertising videos, or signing up for various promotions. Now, scammers looking to make a quick buck are launching their own websites that appear to operate the same way, but beneath the surface they’re actually harvesting your personal data. First, you’re asked to pick what kind of gift card you want, from Starbucks to Apple and others. Then, instead of completing a survey or watching a few ads, you’re asked for information like your phone number or a verified email address. In some cases the site will even ask you to download a file, possibly for an app that claims to offer deals and discounts, when in reality it’s just malware or adware that will fill your computer with pop-ups or send out your private information to scammers. Check the HTTPS connection and domain name when you open a webpage. This is especially important when you are using websites which contain sensitive data – such as sites for online banking, online shops, email, social media, etc. Never share your sensitive data, such as logins and passwords or bank card data, with a third party. Trustworthy companies will never ask for data like this via email. Check with the company to confirm if it is really offering gift card codes, and whether any third-party site is an official partner. To do this, contact the company’s customer support service by reaching out on the official website. Ultimately, the best advice is that if you see a deal that seems too good to be true — like free gift cards in exchange for your phone number, address, or installing a fill — it’s almost certainly a total scam.